We all know that today’s economy is becoming more digital by the day, and I would argue that computer science is the new literacy. While there is a lot of talk about the importance of computer programming and coding, there is less action — and funding — to support it adequately. After-school classes, out-of-school museum programs and elective computer science programs are great but not enough; these don’t serve all students and often require parents or care takers with financial means and the ability to bring children to these activities. If computer science education is any citizen’s right then it should not be treated like a privilege. We must ensure that this new literacy receives investment–in terms of time, resources, cultural contexts and teacher development–on the level of traditional literacy. 1. Make computer science education mandatory in all K-12 schools. Do this across the country and incorporate it into subjects already being taught–from Spanish to Chemistry to Math. If reading, writing and arithmetic were not mandatory parts of curriculum across the country, it would seem absurd! Depriving students access to knowledge that provides the foundation needed to achieve academic, civic and professional success is wrong and unjust. Computer science, which teaches us key learning and thinking skills and cultivates an innovative mindset, must be taught to all students. It is how we give them a fighting chance at success. While federal programs like Computer Science for All are beginning to make great strides, more must be done. Let’s not miss another generation. School administrators and teachers should look this summer into programs that fit into current curriculum, so all students are able to learn these important skills during the 2016-17 school year. 2. Provide teachers with the tools, training and resources they need to learn about and teach computer science in their classrooms. The dominant Silicon Valley idea that teachers can easily self-learn computer science by accessing free resources while at home online, or by replacing millions of teachers by hiring a fleet of engineers and computer scientists,are not the way to implement successful computer science education programs in schools nationwide. Research shows that all kinds of teachers can learn computer science alongside their students, and manage the integration of computer science into their classes. Thousands of teachers have already demonstrated that after a few short training sessions, through tech-infused blended-learning, they can impart the hard and soft skills of computer science courses, without previously knowing how to code or program. As a nation, we must invest in providing quality learning experiences for teachers—all 4 million of them in our K12 system—to allow teachers from all communities and backgrounds to understand the new literacy and move beyond “Pop-Computing” to integrate components of computer science into their existing classes, just as they do with reading and writing. 3. Make computer science funding equal to reading and writing funding. Federal reading and writing funding is currently $1 billion more than computer science funding. And if we agree that computer science is equally important for everyone in the school system, this budget discrepancy alone prevents it from becoming a curriculum equal. True literacy and global citizenship in the 21st century require more than mastery of the English language texts. The U.S. Congress and individual states must look at how reading and writing are funded in their education budgets, and proportionately allocate resources to computer science instruction. In addition, research shows that reading and writing skills can in fact be mastered better alongside computer science learning. The learning of one contributes to the other. While teachers and administrators can’t change the federal budget, they can get started now and urge their state and federal policymakers to level the playing field and set all of our students up for success. Until steps toward supporting computer science education in K-12 are taken, we are shortchanging students and not sufficiently preparing them for the world that awaits. Is Coding the Most Important Language to Learn Right Now? Dr. Idit Harel is the CEO and Founder of Globaloria. Follow her on Twitter: @idit. This post was originally published in June 2016. 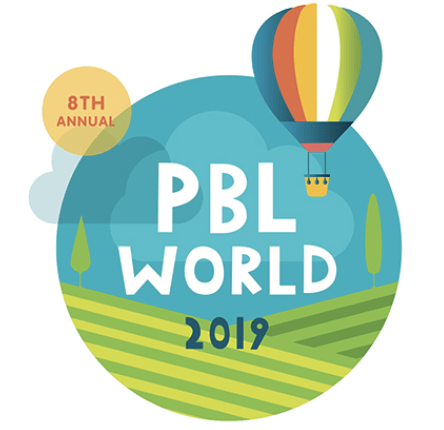 Next articleHow Can We Bring Coding into Authentic PBL?